I haven’t kept it a secret that I love my daily spritz. It’s been one of the most consistent products I use on my hair and I love it so much I use it twice a day. I didn’t automatically know what to put in my spritz, other than water, the world’s greatest moisturiser. While doing my research I came across a whole bunch of articles and other naturalistas who swore by natural oils. Many swear by olive oil. I swear by avocado oil. I love how thick it is and that a lil’ drop goes a long way. It’s easily accessible (can get it from Woolies, Pick n Pay, Checkers) and best of all it doesn’t cost an arm and a leg! I use it in my daily spritz, my zesty lemon butter as well as add it to some shampoos to increase their moisture levels. I. Love. It. 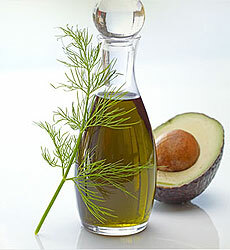 Click the link below and read all about the great benefits of avocado and its oil.